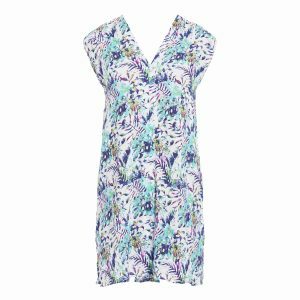 Feel effortlessly elegant with the Fantasie Fiji Dress in aqua multi. 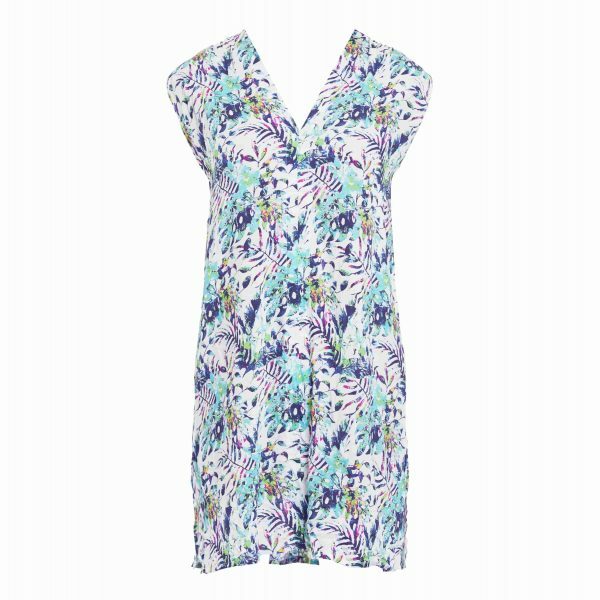 Featuring an all-over vibrant print, this beach dress is a holiday wardrobe essential. 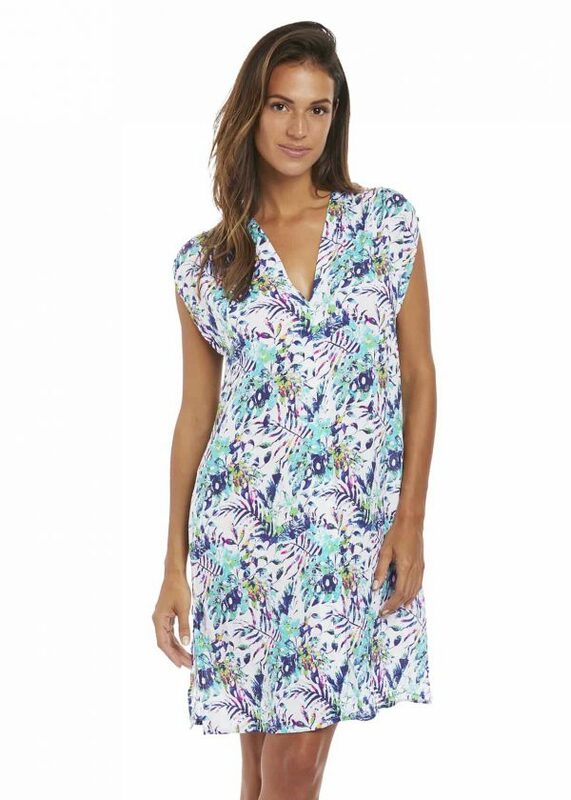 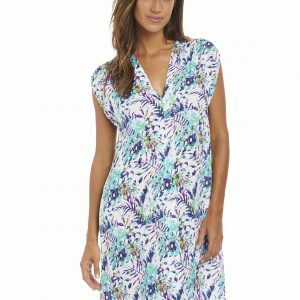 Crafted from gorgeous lightweight and no-crease fabric, this tunic is certain to keep you cool. Plus, the loose fit ensures a flattering silhouette, skimming over your hips and bust. 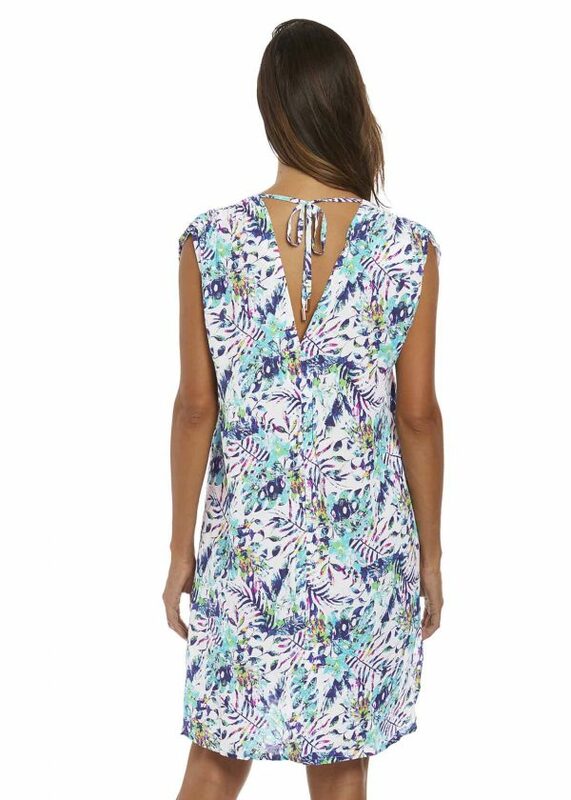 The V-neckline is ideal for showcasing sunkissed skin, while the capped sleeves keep you covered from the sun. 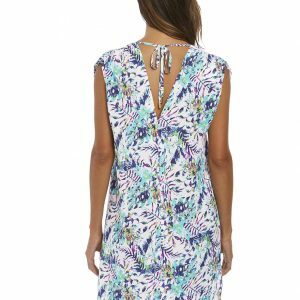 Simply throw over the matching swimsuit or bikini when headed to the beach.